Please be aware that there is ‘No Parking’ on site or in the near vicinity, therefore public transport is advised. Our team of well qualified, dedicated staff work creatively and professionally to ensure that all students flourish and achieve our goal of academic excellence. We have a progressive approach to developing and delivering our curriculum while we tailor our learning environment to meet the needs of students; providing extra challenge for those who are intellectually gifted and offering learning support for those in need. 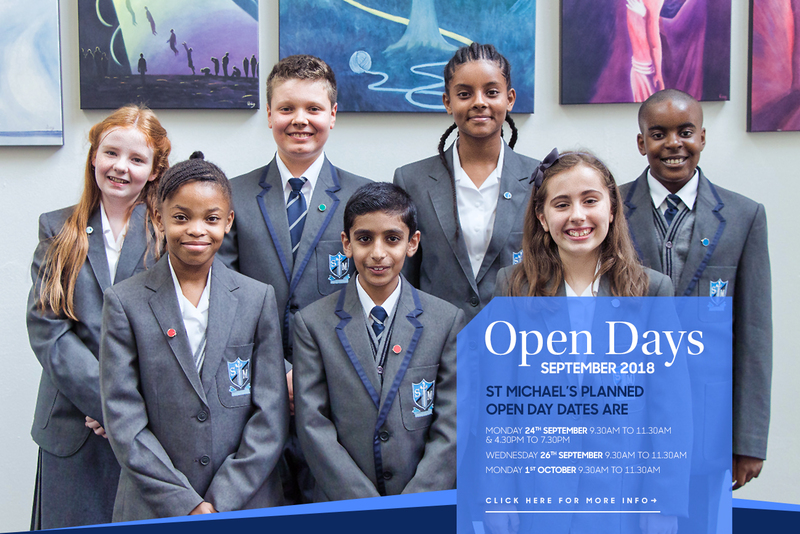 St Michaels’s new build facilitates 21st century learning and has excellent facilities and resources to benefit the whole community. When a new student joins us, we take the time to build a genuine partnership between the family and school, since we believe that partnership with parents is vital to every child’s future success.